So, the second week in Kampala. Time sure is subjective, and while it has only been 10 days I feel right at home by now. I have been very lucky to meet people with similar interests and purpose here in Kampala. I spend my days studying with Sara, a student in global development from Stockholm University, and Dory, a child psychologist from Holland. Having people around you that are motivated and focused on their work is both inspiring and supportive. 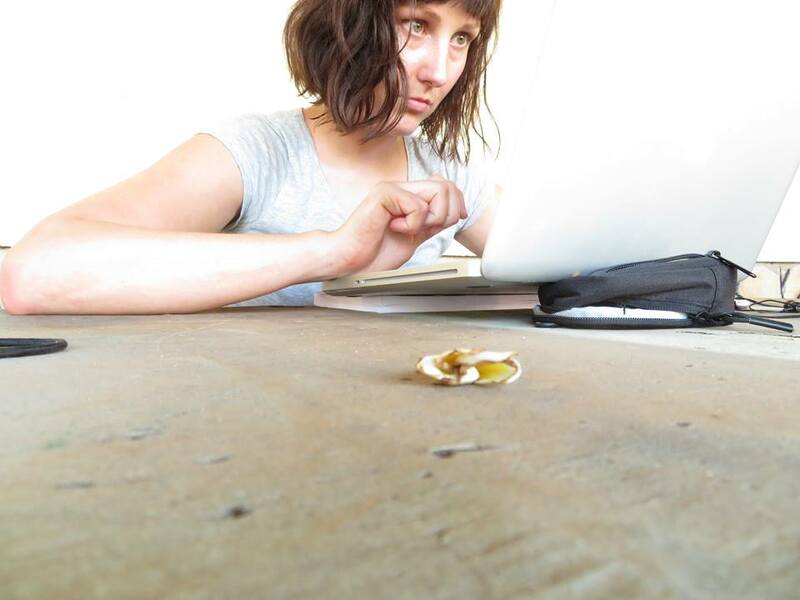 We spend our days at cafés writing and reading up on our respective field, sharing ideas and thoughts. In the evening we meet up with other students, both from Kampala and abroad, NGO´s workers, expats and travelers for drinks and share stories. I have met with my person of contact, Dr. Peter Ssenkusu from The School of Education at Makerere University. We had a meeting on my porch the other day, and talked about how I should proceed with my field study. Peter also gave me a tour of the Makerere University´s campus and the office of lecturers of the education department. 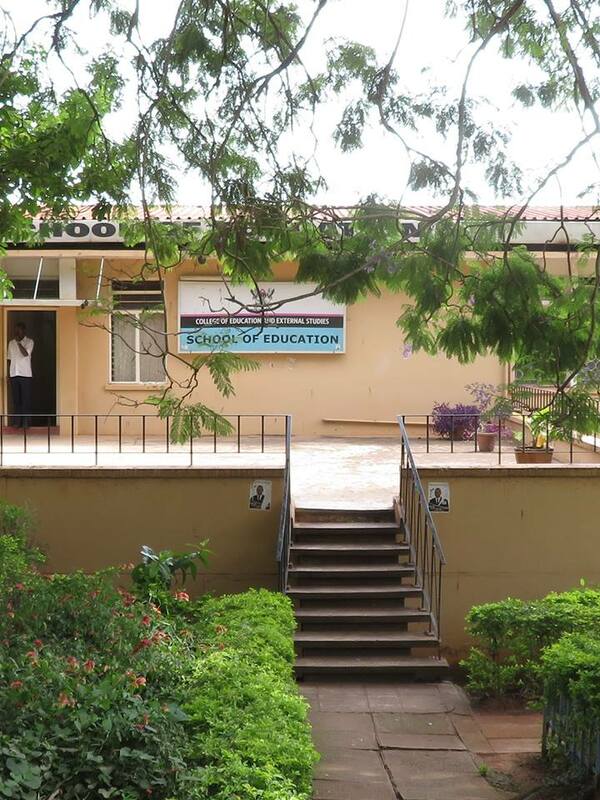 The campus houses thousands of students and is located on top of one of Kampalas hills. The students live in various setting depending on economic background, ranging from modern apartment buildings to small huts. Some of the staff, such as maintenance, shop owners and teachers, live in the outskirts of campus as well. 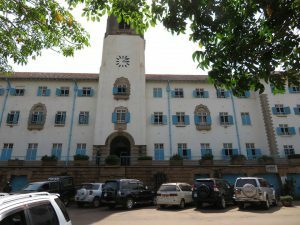 The main building of Makerere University, where the dean and other officials has got their offices. The entrance to The School of Education, located on Makerere campus. I love the sign of the department of Science and Biology. 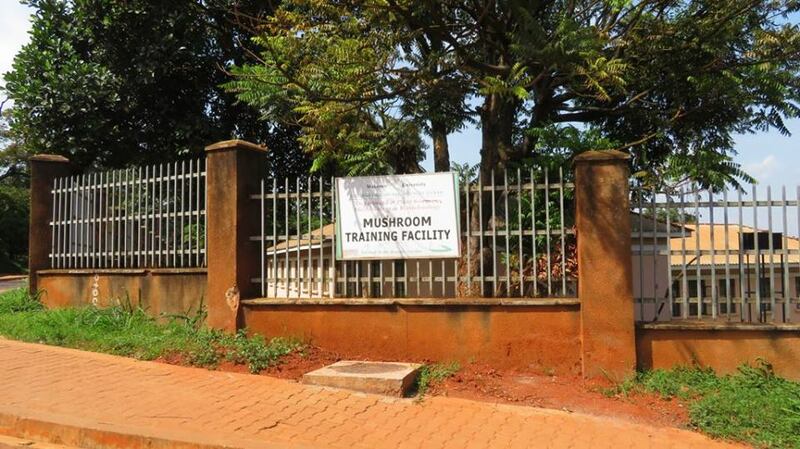 Imagine training mushrooms! I have also “grabbed the bull by its horns” and started getting around on the boda bodas. The name of the motorcycle taxis originated from the border between Uganda and Rwanda, where the drivers would yell out “border-to-border” for customers looking to cross over. The boda bodas are everywhere around Kampala, hanging out in the shadows of trees in intersections, waiting around for potential costumers. Even though I have been on plenty motorcycles in South East Asia, I have been reluctant to get on the back of one here. The traffic is like nothing I have experienced, and seeing drivers criss-cross their way through thousands of trucks and cars is nerve wrecking. However, there is an alternative to getting a near-death experience every time you leave home! A fairly new company called Safe boda offers rides at a fixed price (nice to not have to bargain every single time you go somewhere), and as the name implies, they are safer than your regular driver. All the drivers are trained in CPR, you get a helmet (with a very cute hairnet to protect you from lice) and they do actually stop at the red light. Plus, you can rate your driver through an app. This quote is from Isaac, one of the Kampala born guests I met at a bonfire a couple nights ago. We had a long talk about how education is constructed and developed in Uganda, as well as how a former student perceive it, in hindsight. According to Isaac, there is no specific age where you start school, but it is rather a measure of your body. This goes for your bus fare as well. Physical punishment is still a common occurrence – Isaac gave a bitter recap of his experiences in the classroom. If he were to talk out loud, whisper with his friends, or even give the wrong answer, he would get slapped across his cheeks or in the back of his head. Tales of abuse is common, with other Ugandans nodding in recognition of his stories. Further, the topic of corruption within education was discussed. 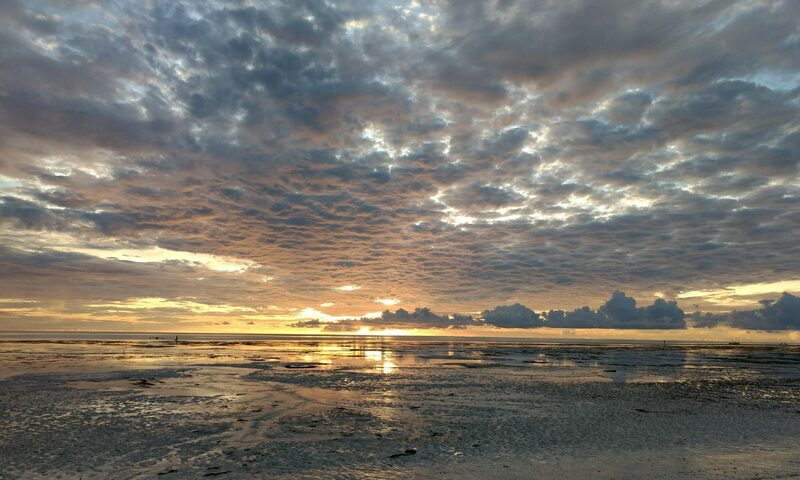 Western countries are eager to give scholarships to developing countries, however, there is seldom any check up of how the receiving country distribute said scholarships. 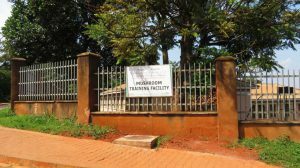 This has, according to Isaac, resulted in government officials selling scholarships to the highest bidder, or neighbouring countries. Thus, the knowledge gained in studies is rarely of benefit to the country it was intended for. On a brighter note, this weekend I have been invited to a big birthday party. Ugandans are big on partying – on my block, which is considered a fairly quiet area, there are parties until 4 am several nights a week – so I am really looking forward to Friday night. There is a saying that in Kampala the weekend stretches from Thursday until Monday, but I am certain it includes Tuesday and Wednesday as well. Saturday will be spent studying most likely, but I might go downtown to check out the second hand shops. There are several outlets that import luxury brands from Western countries and sell them by the kilo. Sunday will be spent with Sara and Dory by the pool at the Sheraton, reading up on Ugandan history and working on my tan. For those interested in movie trivia, the Sheraton pool area is seen in the movie Last king of Scotland. The pool area is one of the places where Idi Amin used to host extravagant parties, excluded from the terror ravaging the country. I will finish this post with one last picture – showing the impact slow internet and an over-heated laptop has got on a Swede used to fiber and air con.